Description Main floor of second library located at 706 4th St. 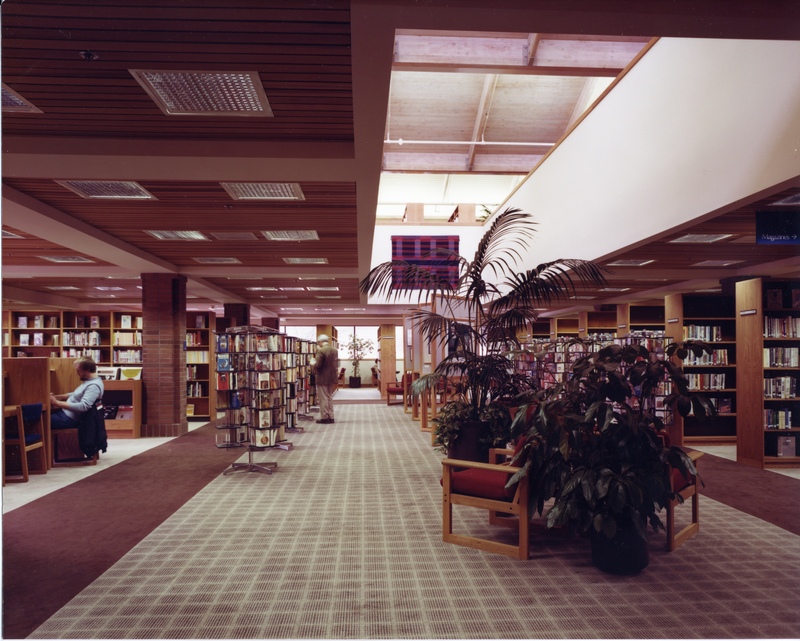 Loose caption: 1984, one year after opening - notice the extra space on the bookshelves. No books on the top or bottom shelves!